(RSCNPF): Two persons taken into custody on Saturday night (May 27) in relation to an incident involving a pellet gun have been arrested, formally charged and cautioned. 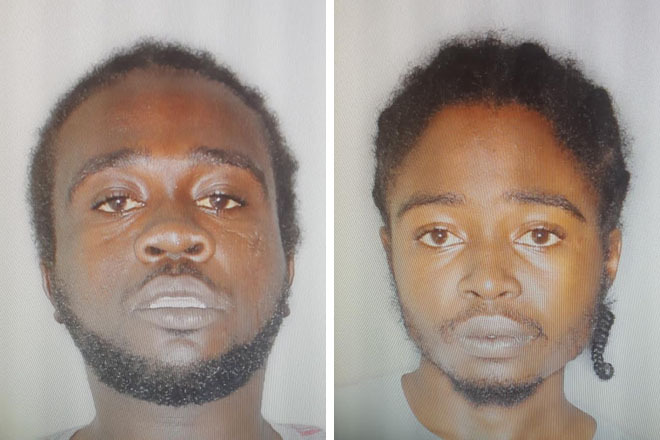 Arrested and charged are Lewis Powell of Upper Shaw’s Avenue and Dequan Maloney of Upper Shaw’s Avenue. Both were arrested, formally charged and cautioned for the offences of, causing grievous bodily harm and making use of a firearm to commit a felony.